Many parishes throughout our diocese are in great need of funds for capital projects as well as ministry. Recognizing this urgent need, the Legacy of Hope campaign will return 40% of all funds collected up to the assigned target to our parishes for their local needs. Once a parish surpasses its target, 60% of the funds raised above that point will go to the parish. 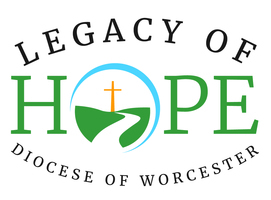 The Diocese of Worcester will collect donor contributions and disburse funds to the parishes on a quarterly basis. Investing in newer, energy efficient heating and air conditioning systems. Forty percent of all Funds generated in the Legacy of Hope Campaign will directly and positively impact Local parishes throughout our diocese. Each parish will be assigned a “good-faith target.” Targets are “goals” not “assessments,” meaning each parish community is asked to simply do their best in raising the maximum amount of funds.